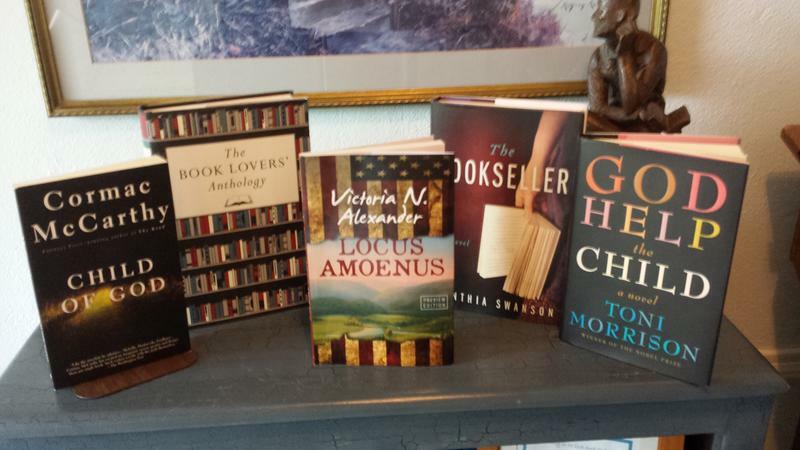 This entry was posted in literary fiction, politics and tagged #9/11novel, 911 novel, Big Agriculture, Big Pharma, childhood obesity, eco living, political satire novel, sustainability on September 10, 2015 by VN Alexander. 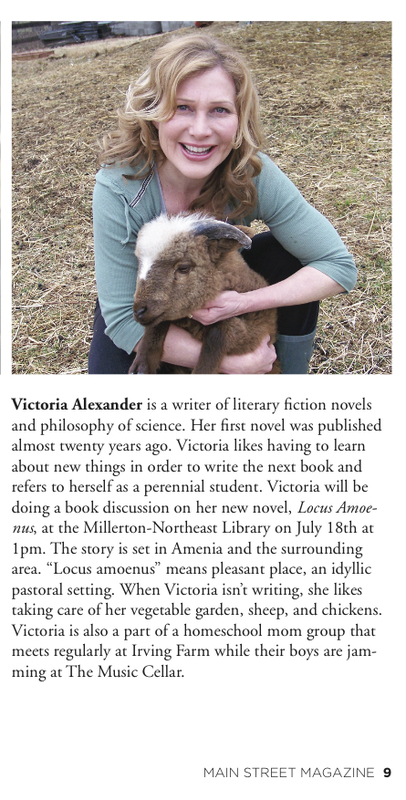 Victoria N. Alexander’s new dark comic novel, Locus Amoenus, is the story of a 9/11 widow who moves with her son, Hamlet, to the countryside to start a sustainable farm. But when Hamlet’s mother, Gertrude, marries a NIST bureaucrat named Claudius on the eight anniversary of 9/11, Hamlet becomes very depressed. Then Hamlet’s old science teacher, Horatio, arrives to tell Hamlet that Claudius, who worked on the investigation of the WTC towers, is a fraud: NIST never actually investigated how the towers came down and never tested for explosives. But there is more: young Hamlet had collected a dust sample at ground zero, which he had given to Horatio. Unknown to Hamlet, Horatio has sent the sample to scientists who have found evidence of incendiary material in the dust. Now Hamlet and Horatio have to figure out what to do. Is Claudius guilty of covering up murder or terrorism? or is he just a pawn? This entry was posted in 2015 Press: reviews / interviews / features, literary fiction, politics and tagged #9/11novel, 911 novel, Big Agriculture, Big Pharma, childhood obesity, conspiracy theorists, controlled demolition, DIY politics, eco living, sustainability, TheBleedingEdge, weapons industry on August 4, 2015 by VN Alexander. Victoria N. Alexander has constructed a clever and engaging novel loosely based on Shakespeare’s masterpiece, Hamlet. This dark comedy revolves around the tragedy of 9/11. Alexander has several novels to her credit, as well as a work of non-fiction, The Biologist’s Mistress: Rethinking Self-Organization in Art, Literature, & Nature. She is also working on a comedy screenplay about a high security dystopia. This entry was posted in 2015 Press: reviews / interviews / features, literary fiction and tagged 9/11, 911 fiction, Big Agriculture, childhood obesity, sustainability, weapons industry on July 6, 2015 by VN Alexander.